Please either email us at [email protected] with the date of your wedding and your requirements or telephone us on 07401068571. Alternatively contact us via the online contact form and we will then contact you to discuss your requirements further, book your production slot and/or send you an invoice for payment. Who do I pay for my order? You can book a production slot in advance and pay only a £25 non refundable booking deposit to secure a space in our diary. Booking deposits are deducted from your outstanding stationery balance. Please contact us at [email protected] to book your production slot. Orders are delivered on a specified delivery date agreed between ourselves. Express delivery slots may be available at an additional cost of £50. We endeavour to dispatch express orders within 21 days. Please contact us to check availability for an express delivery slot. Do you help with wording our stationery items? Upon placing your order and approximately 4-6 weeks before your production date we will email you requesting all the information you would like included and then put together drafts which are emailed over to you for approval to help you to compile the perfect wording. We do not have a minimum order. Please order a couple of extra invitations to allow for mistakes when writing, any guests you may have forgotten and spares to avoid needing extra invites at a later date. Can I have my stationery in a language other than English? Yes we have supplied invitations in quite a few different languages. For languages other than English, please contact us prior to placing your order and we will be happy to help. Once we have received your order we will email you a proof copy for your approval. Please check all the details, make any amendments and let us know if you are happy with your drafts. You will have the opportunity to change any script or fonts at this stage. We select each font to complement our designs, however alternative fonts and colours are available for some designs. Please contact us to discuss other options if you would like to change the fonts. If we do not display your colours on our website, please send us a swatch of your desired colours and we will endeavour to colour match for you. Please email us your swatch requests. Please contact us for overseas shipping prices which will be sent fully tracked via FedEx. All designs and photos are copyright of Crystal Couture Wedding Stationery. All rights reserved. Any redistribution or reproduction of part or all of the contents or designs in any form is prohibited. 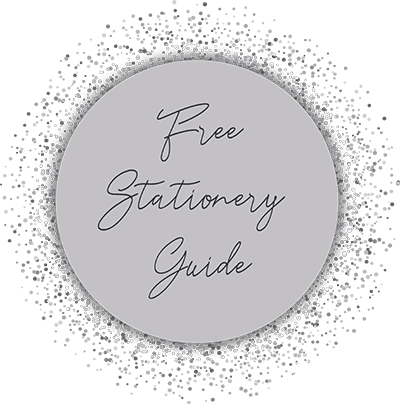 An interest free payment plan option is available for orders over £200 as an alternative for brides who wish to budget and spread the cost of their stationery. A £25 deposit is required at the time of ordering. The remainder of the balance can then be spread with weekly or monthly payments via paypal invoicing. Please contact us for details. The following terms and conditions apply to all transactions placed on-line, by email, telephone or post with Crystal Couture Wedding Stationery. Please read carefully before placing your order. By using this site, you are agreeing to the terms and conditions as set out below. Upon receipt of your order, a £25 non-refundable deposit will be required. This allows Crystal Couture Wedding Stationery to begin creating your order. The deposit secures the price of items confirmed at the time of ordering. Goods will only be dispatched upon receipt of full and final payment. We accept the following payment methods: PayPal using your debit or credit card or by Bank Transfer. Drafts: Proof reading is the responsibility of the client. All drafts will be emailed to you for approval a confirmation email from yourselves will be required to confirm you are happy for us to proceed with printing your stationery. Crystal Couture Wedding Stationery can not be held responsible for any errors on your completed stationery not picked up on at the draft stage. All products remain the property of Crystal Couture Wedding Stationery until full payment has been received and cleared. Nationwide orders will be sent via Parcel Force recordered delivery and a signature will be required to confirm receipt of delivery. Mainland UK Delivery charges for postage and packing are calculated by weight. Orders can also be collected direct from our studio free of charge and if you are based within a 25 mile radious of our studio we also offer a delivery service. All orders are carefully packed to avoid damage in transit. Crystal Couture Wedding Stationery cannot be held liable for goods lost or damaged in transit and shall not be responsible where any failure or delay in delivery is due to circumstances beyond our control. It is the responsibility of the client to examine goods on arrival and notify Crystal Couture Wedding Stationery within 7 working days of delivery (email is acceptable) of any apparent damage, defect or shortage. If an error/fault is discovered, the original incorrect/faulty stationery must be returned to Crystal Couture Wedding Stationery where we can put right any errors. Postage will be reimbursed if the error is that of Crystal Couture Wedding Stationery. Health and Safety: Please be aware that due to small parts in our Wedding Stationery, they are not suitable for young children. Crystal Couture Wedding Stationery will not share your personal details with any third party. Crystal Couture Wedding Stationery reserves the right to use images of your stationery on our website. It is your responsibility to obtain the correct copyright permission for hymns, readings or pictures to be included in their stationery. You agree to indemnify Crystal Couture Wedding Stationery against any action for breach of copyright of such items. Crystal Couture Wedding Stationery shall not be responsible for any delays or failure to perform its obligations if such delay or failure is caused by events or circumstances beyond its control. This includes but is not limited to acts of God, war, fire, strikes, failure of communications or computer systems, shortage or unavailability of raw materials, or extreme weather. In such circumstances Crystal Couture Wedding Stationery will endeavour to perform its obligations as soon as is reasonably practicable but accept no liability to compensate you for any loss or inconvenience arising from such delay or failures described above.